Rift Recon LLC and the Human Rights Foundation (HRF) join forces to present a comprehensive security workshop at the 2014 Oslo Freedom Forum (OFF) next month. The workshop will be geared toward protecting high-risk individuals in possession of sensitive information. The sixth annual OFF will take place on May 12-14th. Former Russian political prisoner Mikhail Khodorkovsky, Harvard cognitive scientist Steven Pinker, Cuban blogger Yoani Sánchez, Wikipedia founder Jimmy Wales, American actor Jeffrey Wright, and iconic Turkish protester Erdem Gunduz will join 25 other remarkable speakers. OFF will bring together a diverse and global audience to share experiences and discuss how to best promote free and open societies. Rift Recon CEO Eric Michaud and Senior Intelligence Advisor Brian O’Shea will be joining the ranks of some of the world’s finest minds and bringing their security talents within easy reach of the people that need them most. "You can’t help being a target, but you can help what kind of target you are," advises O’Shea. "Our workshop in Oslo will provide a remarkable opportunity for Rift Recon to aid at-risk individuals who we wouldn’t normally have access to." Michaud and O’Shea are facilitating the workshop in collaboration with representatives from HRF, whose team members reached out to Rift Recon after hearing about their cyber and physical security intensives. OFF workshop attendees can expect a fast-paced, in-depth security training that focuses on identifying when you are being targeted by hostile entities, introducing premeditated protocols you can practice to lessen your risk, and how to swiftly minimize damage should your security be compromised. The training will draw largely from Rift’s Two-Day Employee Physical Security Intensive and the soon to be available Social Engineering course. "Dictators have access to billions of dollars and the world’s most advanced surveillance and spying tools," said HRF president Thor Halvorssen. "We have to acknowledge that challenge, and the first step is to connect communities of human rights defenders and at-risk journalists with experts who can show them how to keep their communications and actions private." In this workshop, the instructors will focus on protecting sensitive information through examining the flaws and benefits of various communication devices and attacks by various offensive entry tools, as well as how to strategically react to a security breach. Social engineering techniques will also be examined, including reading body language and establishing stranger intent to better protect participants. Participants lastly will also learn how to tell if their workspaces have been intruded upon, how to deploy tamper-evident devices to sensitive equipment and work spaces, and many more invaluable skills. For more information, and to view a complete list of this year’s speakers, visit http://www.oslofreedomforum.com. Founded in 2013, Rift Recon is a premiere physical security agency comprised of researchers, former military and private security detail contractors, and computer and hardware hackers that equips its clients from a suite of exclusive services including specialized trainings, hardware tampering and forensics work, assessment reports, tool creation and team outfitting. Visit http://www.riftrecon.com or follow @RiftRecon on Twitter for more information. 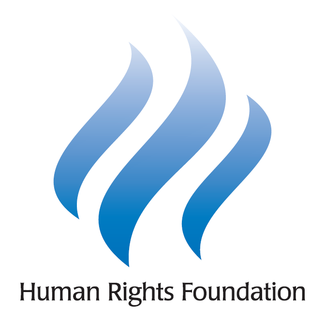 Founded in 2006, HRF is a nonpartisan nonprofit organization that promotes and protects human rights globally, with a focus on closed societies. HRF unites people in the common cause of defending human rights and promoting liberal democracy. Our mission is to ensure that freedom is both preserved and promoted around the world. Visit http://www.humanrightsfoundation.org or follow @HRF on Twitter for more information.